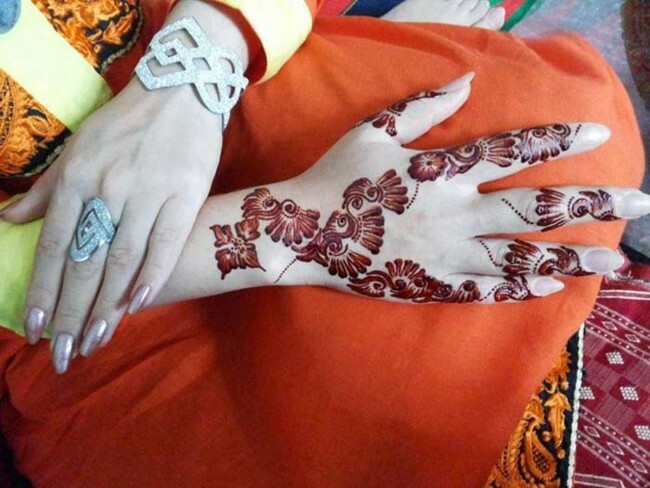 Wedding Mehandi designs are available in so many variety we have selected some of the ideas for Summer Autumn season check all of them below. In Pakistan wedding season starts at the end of summer and goes till next spring there will be many wedding ceremonies happening in next few months so all brides and every girl going to attend wedding must be ready. 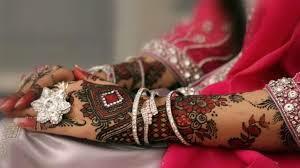 If you are following yourfirstwedding.com from some time then you must knew that we are showing every type of wedding related fashion and tips for today we have beautiful mehndi designs that are for both brides and women who will be attending marriage. There are lots of wedding mehndi art work available some beauticians will give you new design every time they draw mehandi because of their creative mind.You must have a creative mind if you like drawing mehandi on your and someone else hand. These ideas will boost your creativity and you can create something of your own designs can be inspired from daily routine things you see if you are not expert in doing these then just follow the picture and see how these designs are made. Just copy exact design as you are seeing in the images and at the end you will have the same exact wedding mehandi design that you are looking to have. Bridal mehandi designs are bit more special they have some extra charm in them because of wedding day while other women mehandi designs can be same but they will not look quite attractive as the bridal one. Because Mehandi designers do it specially for the bride so she can look unique among all the other women in the wedding ceremony. 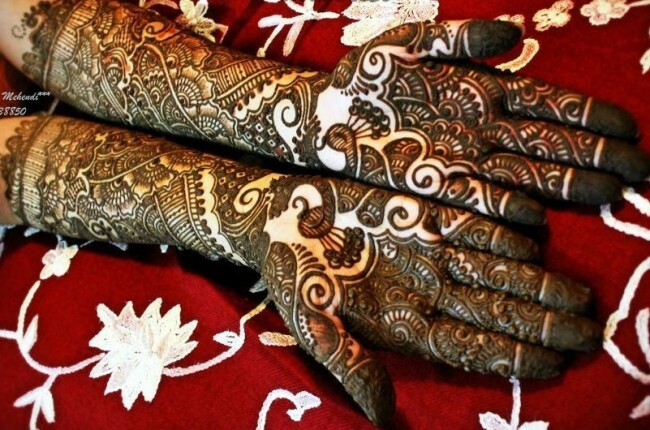 Mehandi can be made on hands,foots,arms and body which is the new form known as mehandi tattos in western part of the world.But on South Asian wedding ceremonies purely traditional mehandi designs are done Arabic mehandi design being one of the most chosen in Wedding Mehandi Designs.